This is a one-day workshop to create a beautiful felted journal using the Nuno felting technique. This involves felting wool fleece into silk fabric to create a combined finished felt incorporating unique patterns and textures. Natasha will guide you through the Nuno wet-felting process, using foam resists to create your journal cover in one complete piece, pockets included! 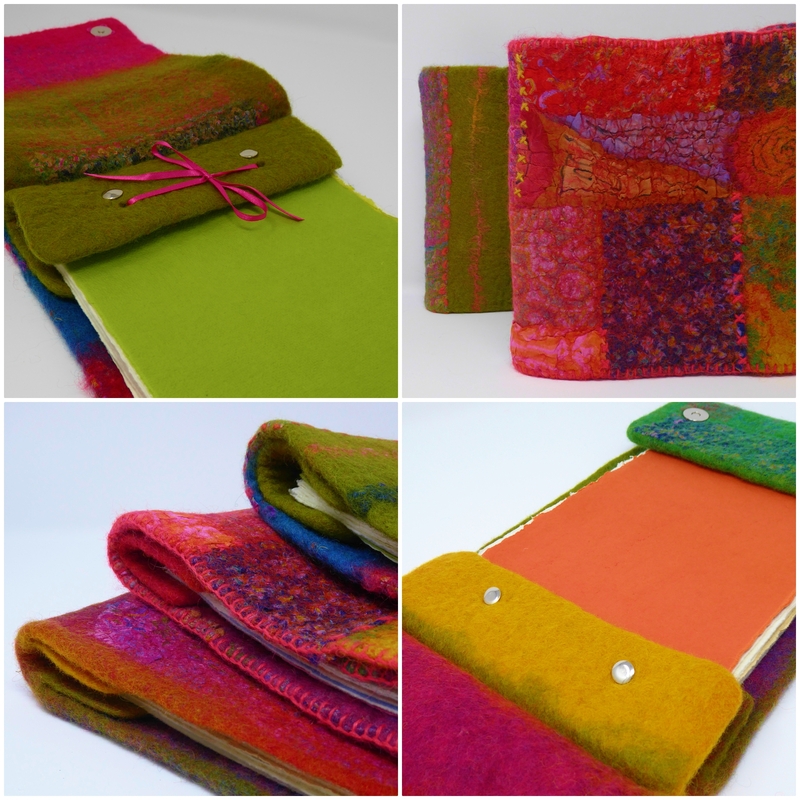 Once you have felted your cover, you will then add handmade paper pages and fastenings to complete your journal. This is the perfect no-sew project, and Natasha will also inspire you with examples and ideas of how to use and personalise your journal pages at home (eg for a special holiday or occasion). All materials are included to create a Nuno felted journal with 20 A5-size handmade paper pages. If you would like to incorporate any special silk fabrics or wool yarns personal to you, please bring them along.